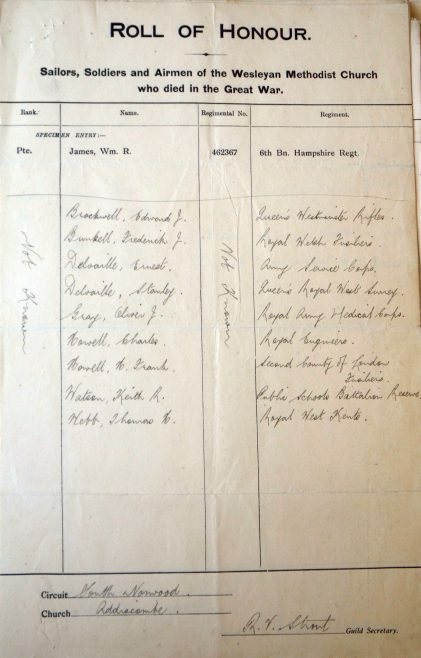 The Guild Secretary notes that the rank and number of these nine men is not known. The church was destroyed in 1948, and the men are not listed on any known monument, except their own graves. In the case of Keith R. Watson, it appears that he was the son of the minister of the church from 1914 to 1917. Note that Ernest Delvaille was regarded as a casualty despite living for 9 months after the Armistice. 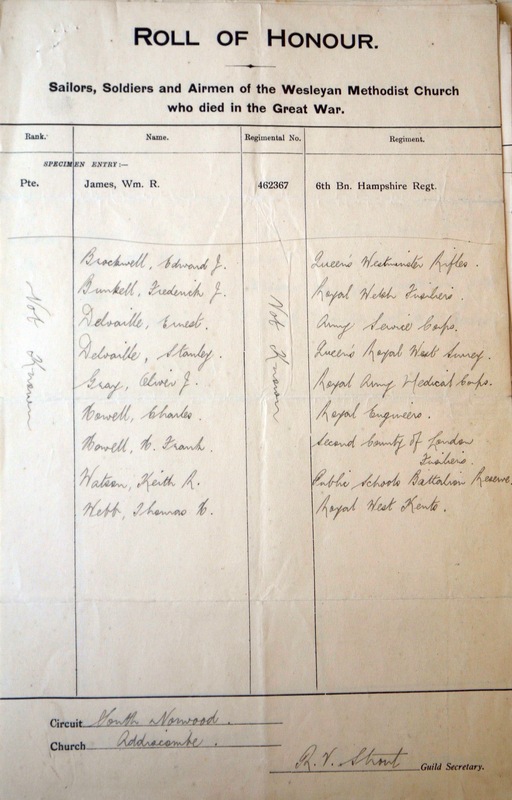 Additional sources: Commonwealth War Graves Commission; 1911 Census; Alphabetical and chronological arrangements of the Wesleyan Methodist Ministers and Probationers, 1922.